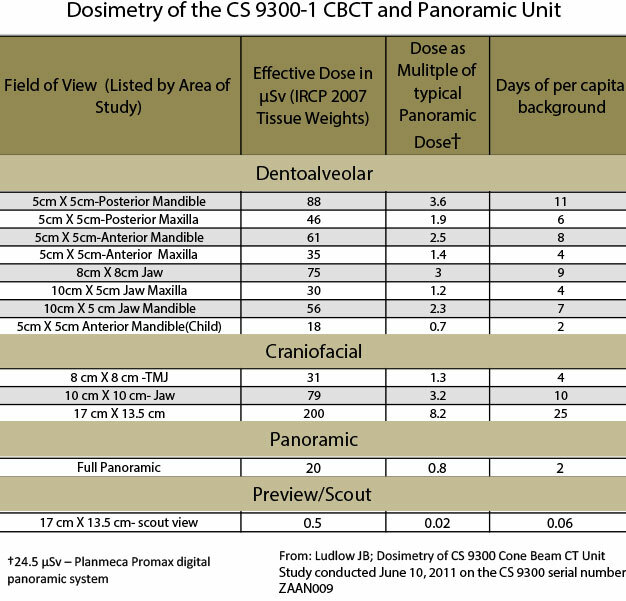 The Carestream Dental CS 9300-C’s half-scan protocols (all fields of view except 17×13.5cm) also promote considerable dose sparing of the anterior region—including the eyes—when compared to full-scan protocols commonly used in MDCT and other cone beam CT systems.1 The system’s ability to minimize radiation dose is particularly important when examining children and adults who require multiple CT scans. 1 Xu J, Reh D,Carey J, Mahesh M, Siewerdsen JH. Technical assessment of a cone beam CT scanner for otolaryngology imaging: image quality, dose and technique protocols. Med. Phys. Accepted for publication, July 2012. 2 J. B. Ludlow, University of North Carolina, June 2011. 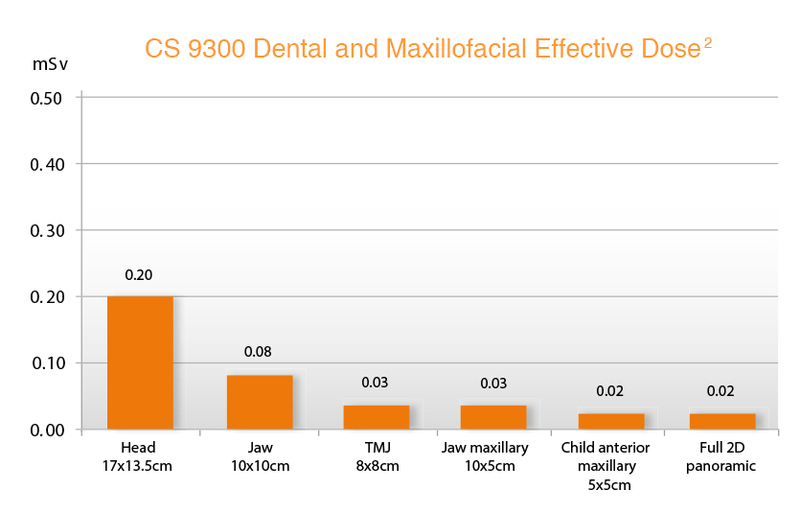 3 Ludlow JB, Ivanovic M. Comparative dosimetry of dental CBCT devices and 64-slice CT for oral and maxillofacial radiology. Oral Surg Oral Med Oral Pathol Oral Radiol Endod 2008;106:106-114. 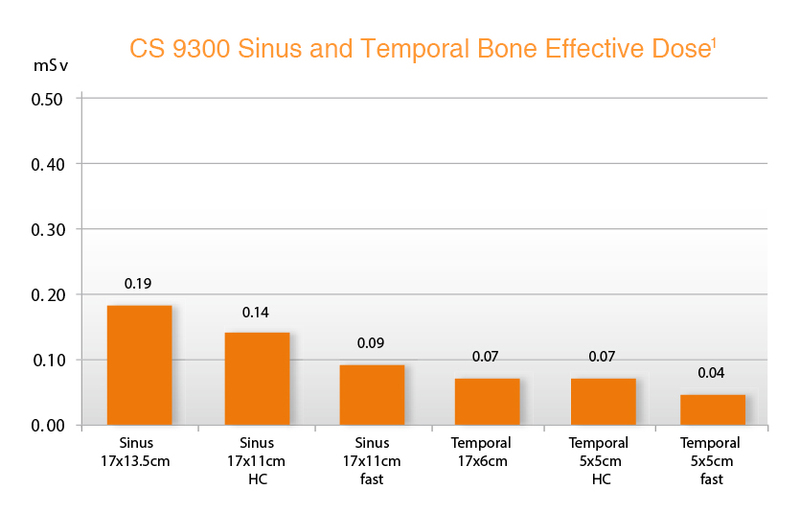 4 Niu Y, Wang Z, Liu Y, Liu Z, Hao V. Radiation dose to the lens using different temporal bone CT scanning protocols. Amer J Neuroradiol 2010;31:2:226-229. 5 Mettler FA, Wiest PW, Locken JA, Kelsey CA. 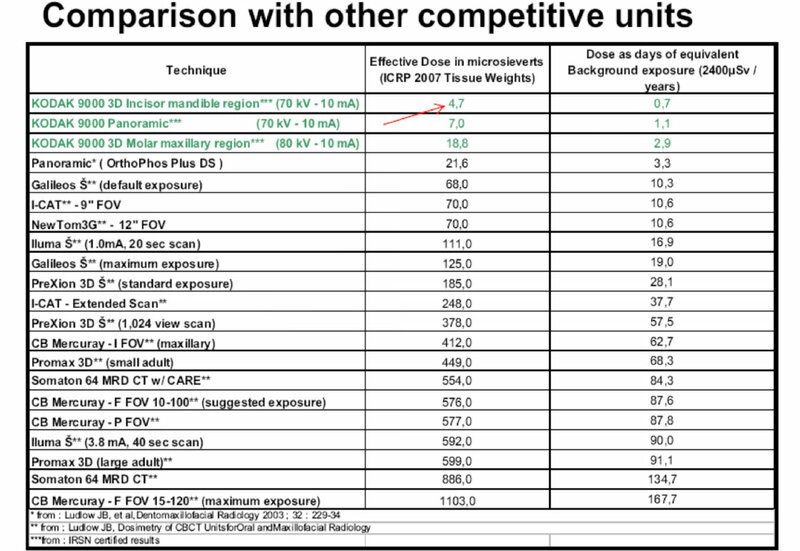 CT scanning: patterns of use and dose. J Radiol Prot 2000;20:4:353-359. 6 Huda W, Chamberlain CC, Rosenbaum AE, Garrisi W. Radiation doses to infants and adults undergoing head CT examinations. Med Phys 2001;28:3:393-399.